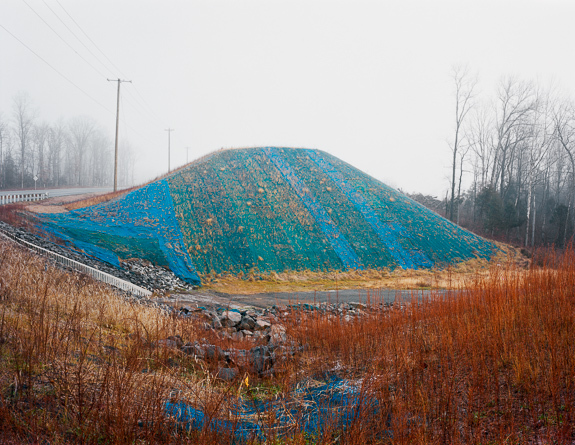 When I began making these photographs, titled Interface, I had been thinking a lot about issues of land use and growth. 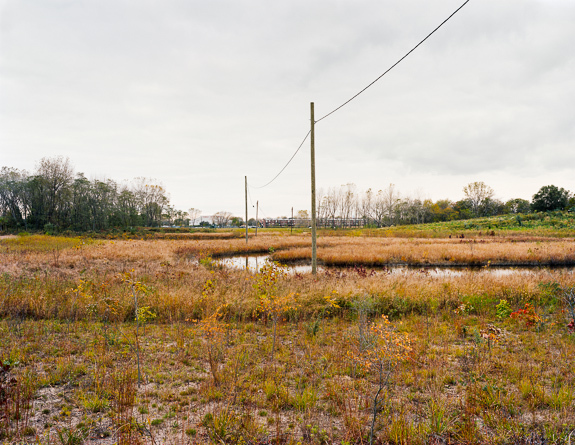 I became interested in what could be found at the margins — between city and wild areas. Not in the most obvious and extreme examples, but in the most normal everyday places, in plain sight. In this interface there is evidence of a dance where human construction invades and nature slowly returns. A subtle type of asymmetric warfare where the brute force of progress skirmishes with the persistence of nature. As I explored these in-between places I found views of seemingly preternatural artifacts and arrangements turned out by the fray. In contrast to ideas of conventional beauty in the landscape it became an exposé of the insidious. This study also became an exploration of my own conflicted beliefs and values. In fact, we are all, in one or many ways, complicit in unbridled progress and growth, the consequences of which are becoming more apparent every day. And yet these places are still beautiful. Nietzsche concluded that in order to decide if something is right or wrong, one needs to ask, does the action affirm life or negate it? To affirm life one must welcome it in its entirety, reveling in the painful and tragic right along with the joyous. To look away, to retreat into some other realm for false comfort, is to negate life.